Preamble: The exchange below is between Sam Harris and Noam Chomsky. For some background please see the links provided here: Link 1 and Link 2. 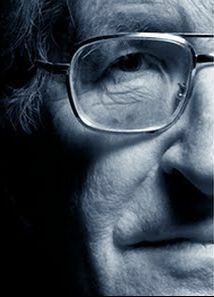 For more please see: Link 3 and Harris’s “Final thoughts on Chomsky.” Noam gave his permission to use the email exchange with Sam Harris but the latter refused us permission to post his responses. However, the words of Sam Harris are available at the links provided. One of the sources for the email exchange is Alternet which Sam Harris says, in an email, did not have his permission to reproduce his exchange and that: “They stole it.” Sam Harris was informed that the content of his emails would be paraphrased and quoted from to explain to readers why his responses are not published here. It is odd that while in his exchange with Noam, Sam Harris calls out the former as seemingly having an uncharitable attitude towards him: that this is the tone he adopted in his email exchange with me as editor of Philosophers for Change. Yet, my email notes to him were polite and respectful as best as I can ascertain. It is also bizarre that Sam Harris published the email exchange with Noam (after he had his permission to do so) claiming that it would benefit readers to see their points of view, but that he now prevents us from reproducing his responses here. We present Noam’s words as they stand from the record — nothing has been changed, including typos — and the absence of the response from Sam Harris is testament, among other things, of his censorship of reasoned public discourse (failed or otherwise) though claiming engaging differing views from his was a motive in initiating and publishing this entire exchange with Noam in the first place. However, something good has emerged from Sam Harris’s attitude and thinking in this matter: the singular consistency and clarity of Noam’s thought shines through. 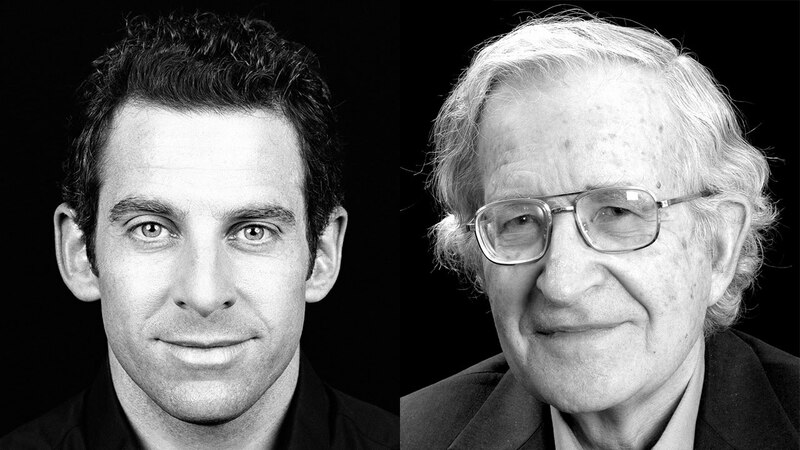 This should be quite apparent if, for those reading the exchange for the first time, one goes through Noam’s responses and then looks at them in the context of Sam Harris’s words in the links given. Moreover, it is our view that if the responses below are approached this way readers will not only see better what is at stake in the email exchange but that Noam lives up to the moral responsibility of a public intellectual. 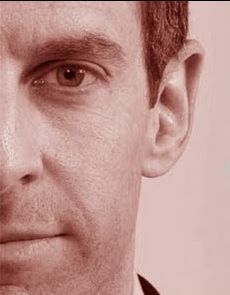 Indeed, for this alone, Sam Harris deserves our thanks for instigating Noam and showing us why we need people to be more discerning in an age wherein anti-public intellectuals try to obfuscate the integrity of others who have stood their ground with clarity, principle and a sense of moral consciousness through the years. The example that you cite illustrates very well why I do not see any point in a public discussion. Or take the destruction of the Al-Shifa pharmaceutical plant in Sudan, one little footnote in the record of state terror, quickly forgotten. What would the reaction have been if the bin Laden network had blown up half the pharmaceutical supplies in the U.S. and the facilities for replenishing them? We can imagine, though the comparison is unfair, the consequences are vastly more severe in Sudan. That aside, if the U.S. or Israel or England were to be the target of such an atrocity, what would the reaction be? In this case we say, “Oh, well, too bad, minor mistake, let’s go on to the next topic, let the victims rot.” Other people in the world don’t react like that. When bin Laden brings up that bombing, he strikes a resonant chord, even among those who despise and fear him; and the same, unfortunately, is true of much of the rest of his rhetoric. Though it is merely a footnote, the Sudan case is nonetheless highly instructive. One interesting aspect is the reaction when someone dares to mention it. I have in the past, and did so again in response to queries from journalists shortly after 9-11 atrocities. I mentioned that the toll of the “horrendous crime” of 9-11, committed with “wickedness and awesome cruelty” (quoting Robert Fisk), may be comparable to the consequences of Clinton’s bombing of the Al-Shifa plant in August 1998. That plausible conclusion elicited an extraordinary reaction, filling many web sites and journals with feverish and fanciful condemnations, which I’ll ignore. The only important aspect is that single sentence—which, on a closer look, appears to be an understatement—was regarded by some commentators as utterly scandalous. It is difficult to avoid the conclusion that at some deep level, however they may deny it to themselves, they regard our crimes against the weak to be as normal as the air we breathe. Our crimes, for which we are responsible: as taxpayers, for failing to provide massive reparations, for granting refuge and immunity to the perpetrators, and for allowing the terrible facts to be sunk deep in the memory hole. All of this is of great significance, as it has been in the past. It goes on to review the only evidence available—we do not investigate our crimes, indeed bar investigation of them—which is from quite credible sources, estimating that casualties might well have been in the tens of thousands. Anyone who cites this passage has the minimal responsibility to give their reactions. Failure to do so speaks volumes. You also ignored the fact that I had already responded to your claim about lack of intention—which, frankly, I find quite shocking on elementary moral grounds, as I suspect you would too if you were to respond to the question raised at the beginning of my quoted comment. Hence it is simply false to assert that your “basic question” is one that “Chomsky seems to have neglected to ask himself.” Quite the contrary, I asked myself right away, and responded, appropriately I believe, to your subsequent charges. The following is from Radical Priorities, 2003. Perhaps you can reciprocate by referring me to what I have written citing your published views. If there is anything I’ve written that is remotely as erroneous as this—putting aside moral judgments—I’ll be happy to correct it. I don’t circulate private correspondence without authorization, but I am glad to authorize you to send this correspondence to Krauss and Hari, who you mention. I am sorry you are unwilling to retract your false claim that I “ignore the moral significance of intentions.” Of course I did, as you know. Also, I gave the appropriate answer, which applies accurately to you in the al-Shifa case, the very case in question. If you had read further before launching your accusations, the usual procedure in work intended to be serious, you would have discovered that I also reviewed the substantial evidence about the very sincere intentions of Japanese fascists while they were devastating China, Hitler in the Sudetenland and Poland, etc. There is at least as much reason to suppose that they were sincere as Clinton was when he bombed al-Shifa. Much more so in fact. Therefore, if you believe what you are saying, you should be justifying their actions as well. I also reviewed other cases, pointing out that professing benign intentions is the norm for those who carry out atrocities and crimes, perhaps sincerely – and surely more plausibly than in this case. And that only the most abject apologists justify the actions on the grounds that perpetrators are adopting the normal stance of criminals. And in particular, I am sorry to see your total refusal to respond to the question raised at the outset of the piece you quoted. The scenario you describe here is, I’m afraid, so ludicrous as to be embarrassing. It hasn’t even the remotest relation to Clinton’s decision to bomb al-Shifa – not because they had suddenly discovered anything remotely like what you fantasize here, or for that matter any credible evidence at all, and by sheer coincidence, immediately after the Embassy bombings for which it was retaliation, as widely acknowledged. That is truly scandalous. In fact, as you would know if you deigned to read before launching accusations, they were informed at once by Kenneth Roth of HRW about the impending humanitarian catastrophe, already underway. And of course they had far more information available than HRW did. Since you profess to be concerned about “God-intoxicated sociopaths,” perhaps you can refer me to your condemnation of the perpetrator of by far the worst crime of this millennium because God had instructed him that he must smite the enemy. Plainly there is no point pretending to have a rational discussion. But I do think you would do your readers a favor if you presented your tale about why Clinton bombed al-Shifa and his grand humanitarianism. That is surely the least you can do, given your refusal to withdraw what you know to be completely false charges and a display of moral and ethical righteousness. Your effort to respond to the question that you had avoided in your published article is, I’m afraid, indeed embarrassing and ludicrous. The question was about the al-Shifa bombing, and it won’t do to evade it by concocting an outlandish tale that has no relation whatsoever to that situation. So you are still evading that question. It takes no telepathy to perceive that. So let’s face it directly. Clinton bombed al-Shifa in reaction to the Embassy bombings, having discovered no credible evidence in the brief interim of course, and knowing full well that there would be enormous casualties. Apologists may appeal to undetectable humanitarian intentions, but the fact is that the bombing was taken in exactly the way I described in the earlier publication which dealt the question of intentions in this case, the question that you claimed falsely that I ignored: to repeat, it just didn’t matter if lots of people are killed in a poor African country, just as we don’t care if we kill ants when we walk down the street. On moral grounds, that is arguably even worse than murder, which at least recognizes that the victim is human. That is exactly the situation. And we are left with your unwillingness to address the very clear question that opened the passage you cite is, instead offering evasions that are exactly as I described. And your unwillingness to address the crucial ethical question about intentions. To adopt your terms, the matter of “altruism (however inept), negligence, and malevolence is absolutely clear” in the case of the al-Shifa bombing. There wasn’t even a hint of altruism, inept or not, so we can dismiss that. There was clear negligence – the fate of probably tens of thousands of African victims did not matter. As to whether there is malevolence, that depends on the ethical question I raised, which you seem not to want to consider: to repeat, how do we rank murder (which treats the victim as a human) with quite consciously killing a great number of people, but not caring, because we treat them as we do ants when we walk down the street: the al-Shifa case? And a further question. How do we regard citizens of the country that carried out this atrocity who seek to provide some justification in terms of clearly non-existent altruistic intentions. As you know (apologies for the accuracy), I described 9/11 as a “horrendous crime” committed with “wickedness and awesome cruelty.” In the case of al-Shifa, I said nothing of the sort. I described it as an atrocity, as it clearly is, and merely stated the unquestionable facts. There is no “moral equivalence,” the term that has been regularly used, since Jeane Kirkpatrick, to try to undercut critical analysis of the state one defends. As for intentions, there is nothing at all to say in general. There is a lot to say about specific cases, like the al-Shifa bombing, or Japanese fascists in China (who you should absolve, on your grounds, since there’s every reason to suppose that their intention to bring an “earthly paradise” was quite real), and other cases I’ve discussed, including Hitler and high Stalinist officials. So your puzzlement about my attitude towards intentions generally is quite understandable. There can be no general answer. Accordingly, you give none. Nor do I.
I’m glad that you are interested in looking at the other cases I’ve discussed for 50 years, addressing exactly the question you claim I ignored. These cases shed great light on the ethical question of how to evaluate “benign intentions”. As I’ve discussed for many years, in fact decades, benign intentions are virtually always professed, even by the worst monsters, and hence carry no information, even in the technical sense of that term. That’s quite independent of their “sincerity,” however we determine that (pretty easy in the Japanese case, and the question doesn’t even arise in the al-Shifa case). We are left as we were. You made a series of accusations that were quite false, and are unwilling to withdraw them. You refuse to consider, let alone answer, the very simple and straightforward question posed in the passage you cited. And you still refuse to reciprocate as I have properly requested several times. That means, clearly, that there is no basis for a rational public interchange. Easy to know why you’re unaware of my having written about your work. I haven’t done so. In contrast, you’ve written about my work, with crucial false accusations that you evidently have no interest in correcting. As to my “misconceptions” about you, I’m interested to see that there is no credible source. Turning to the more important question of al-Shifa. Why so? For exactly the reasons I mentioned. The bombing of al-Shifa was an immediate response to the Embassy bombings, which is why it is almost universally assumed to be retaliation. It is inconceivable that in that brief interim period evidence was found that it was a chemical weapons factory, and properly evaluated to justify a bombing. And of course no evidence was ever found. Plainly, if there had been evidence, the bombing would not have (just by accident) taken place immediately after the Embassy bombings (along with bombings in Afghanistan at the same time, also clearly retaliation). There’s no rational way to explain this except by assuming that he intentionally bombed what was known to be Sudan’s major pharmaceutical plant, and of course he and his advisers knew that under severe sanctions, this poor African country could not replenish them – so it is a much worse crime than if al-Qaeda had done the same in the US, or Israel, or any other country were people matter. I do not, again, claim that Clinton intentionally wanted to kill the thousands of victims. Rather, that was probably of no concern, raising the very serious ethical question that I have discussed, again repeatedly in this correspondence. And again, I have often discussed the ethical question about the significance of real or professed intentions, for about 50 years in fact, discussing real cases, where there are possible and meaningful answers. Something clearly worth doing, since the real ethical issues are interesting and important ones. Let’s review this curious non-interchange. It turns out that you have published version of my views that are completely false, and that the only source you have for “the fact” that you cite is something on Youtube in which, as you wrote, that I “may have been talking about both Christopher Hitchens and [you], given the way the question was posed,” or maybe about Hitchens, whose views I know about, whereas in your case I only know about your published falsifications of my views, which readers of yours have sent to me, and which I didn’t bother to respond to. Therefore, the only meaningful debate could be about your published falsifications. These, as we have reviewed, are quite extreme. Your primary charge is that I neglected to ask “very basic questions” about intentions. As we have now established, I asked and responded to exactly those basic questions in this case and in other cases, while you have completely failed to address “the basic questions” about the significance of professed intentions (about actual intentions we can only guess). There are two important questions about these: (1) how seriously do we take them? (2) on moral grounds, how do we rank (a) intention to kill as compared with (b) knowledge that of course you will kill but you don’t care, like stepping on ants when you walk. As for (1), I have been discussing it for 50 years, explaining in detail why, as we all agree, such professed intentions carry little if any weight, and in fact are quite uninformative, since they are almost entirely predictable, even in the case of the worst monsters, and I have also provided evidence that they may be quite sincere, even in the case of these monsters, but we of course dismiss them nonetheless. In contrast, it seems that you have never discussed (1). As for (2), I posed the question, the one serious moral question that arises in the case at issue, and though I didn’t give a definite answer I suggested what I think: that one might argue that on moral grounds, (b) is even more depraved than (a). Again, it seems that you have never even considered (2), let alone discussed it. To summarize, then, you issue instructions about moral issues that you have never even considered to people who have considered and discussed these issues for many decades, including the very case you cite. 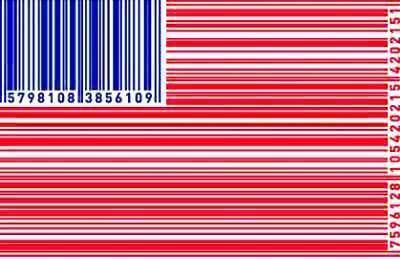 And when this is explained to you in detail, you have nothing to say except to repeat your initial stance. As if that’s enough, you evaded the question asked in the passage you cite, and when I asked for a response, you did give a response – or so I assumed. To be crystal clear, either that response was irrelevant to the question, or you intended it to seriously, that is, to be relevant to Clinton’s bombing of al-Shifa. I assumed the latter. In that case, it follows at once, as I wrote, that the claim is ludicrous and embarrassing. You now say that it was only a “thought experiment.” That leaves us where we were. Either it is irrelevant, or it is ludicrous and embarrassing, or else you are refusing to answer the question. All of that is straightforward enough so that I need not spell it out any further. I’m sure you are right that Clinton did not want or intend to kill anyone at all. That was exactly my point. Rather, assuming that he was minimally sane, he certainly knew that he would kill a great many people but he simply didn’t care: case (2) above, the one serious moral issue, which I had discussed (contrary to your charge) and you never have. As for the rest, you may, if you like, believe that when Clinton bombed Afghanistan and Sudan in immediate reaction to the Embassy bombings (and in retaliation, it is naturally assumed), he had credible information that he was bombing a chemical factory – which also was, as publicly known, the major pharmaceutical factory in Sudan (which, of course, could not replenish supplies), and he judged that the evidence was strong enough to overlook the human consequences. But, oddly, he was never able to produce a particle of credible evidence, as was widely reported. And when informed immediately (by HRW) that a humanitarian catastrophe was already beginning he ignored it, as he ignored the subsequent evidence about the scale of the casualties (as you incidentally did too). On your assumptions, he’s quite clearly a moral monster, and there’s no need to comment further on people who seek to justify these crimes – your crimes and mine, as citizens of a free society where we can influence policy. It seems to me clear what your response should be on elementary moral grounds. I’m not holding my breath. Very glad to see that we are terminating this interesting non-interchange with a large measure of agreement. I agree with you completely that we cannot have a rational discussion of these matters, and that it is too tedious to pretend otherwise. And I agree that I am litigating all points (all real, as far as we have so far determined) in a “plodding and accusatory way.” That is, of course, a necessity in responding to quite serious published accusations that are all demonstrably false, and as I have reviewed, false in a most interesting way: namely, you issue lectures condemning others for ignoring “basic questions” that they have discussed for years, in my case decades, whereas you have refused to address them and apparently do not even allow yourself to understand them. That’s impressive. There’s also no other way to pursue your various evasions of the “basic question” that arises right at the outset of the passage of mine that you quoted. No need to run through this again, but the plodding review makes it clear that you simply refuse to answer the question, perhaps not surprisingly. And I’ll also put aside your interesting feeling that you see no challenge when your accusations are refuted point by point, along with a demonstration that you are the one who refuses to address the “basic questions” that you charge me with ignoring, even after you have learned that I had dealt with them quite specifically before you wrote, and in fact for decades. It would also be interesting if, someday, you decide actually to become concerned with “God-intoxicated sociopaths,” most notably, the perpetrator of by far the worst crime of this millennium who did so, he explained, because God had instructed him that he must smite the enemy. The idea of publishing personal correspondence is pretty weird, a strange form of exhibitionism – whatever the content. Personally, I can’t imagine doing it. However, if you want to do it, I won’t object. Reblogged this on Mali's Place.